Being in the food business is tough, but good advertising can improve your chances for success. This flyer includes a stack of foods and beverages to grab viewer attention. 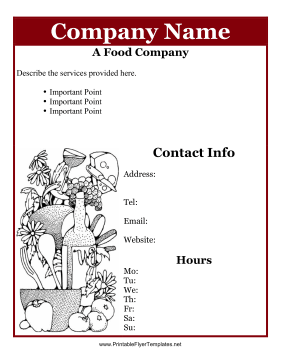 It also has plenty of space for your hours and contact information, as well as a description of your business. This advertisement can be printed either in color or black and white.